The green and ochre-coloured Vic-Bilh landscapes are attractively undulating, scattered with small churches of Roman origin hiding baroque furniture. 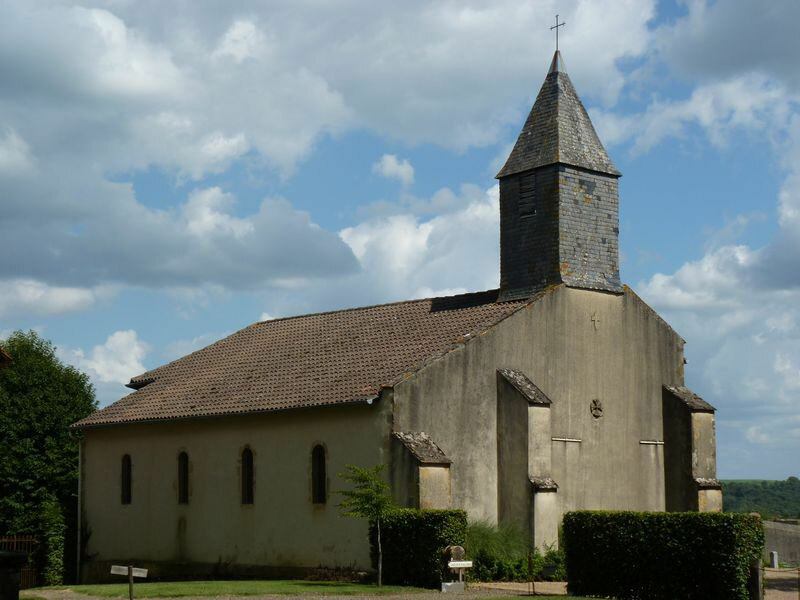 Modest in size and built from the 11th century, their refined decorations are expressions of the rich Roman art in Gascony that was influenced by the style in Languedoc, Navarre and Aragon. 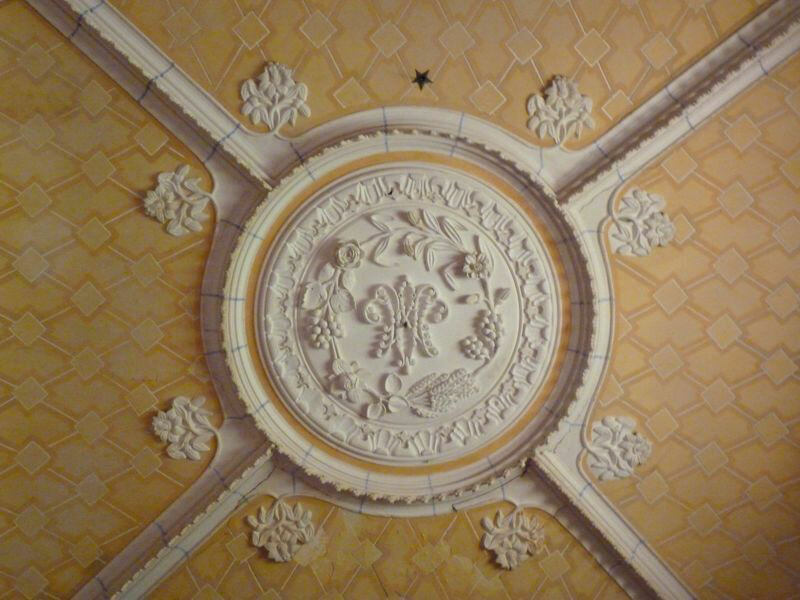 Anonymous artists expressed their amazing talents in the elaborate decoration of column capitals and tympanums . 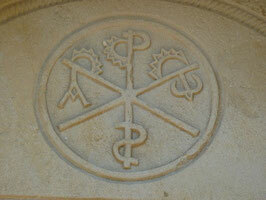 These monograms, often found on the tympanum of churches in the North Béarn, are a symbol of Christ. They are usually circular and composed of overlapped X and P (the letters Chi and Rho of the Greek alphabet), the first two letters of the word Christos. Left and right of Chi-Rho are the Greek letters Alpha and Omega, the designation of Jesus according to the Book of Revelation by St. John. At the end of the 11th c., an S was added to the descender of the P, probably to symbolize the Holy Spirit. 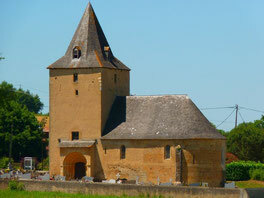 12th c. church with a renaissance portal opening onto a Romanesque chancel. 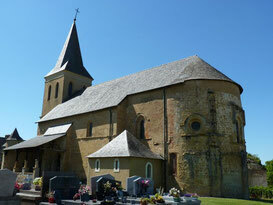 Romanesque church with one of the most beautiful, richly decorated portals in the Vic-Bilh; magnificent interiors. 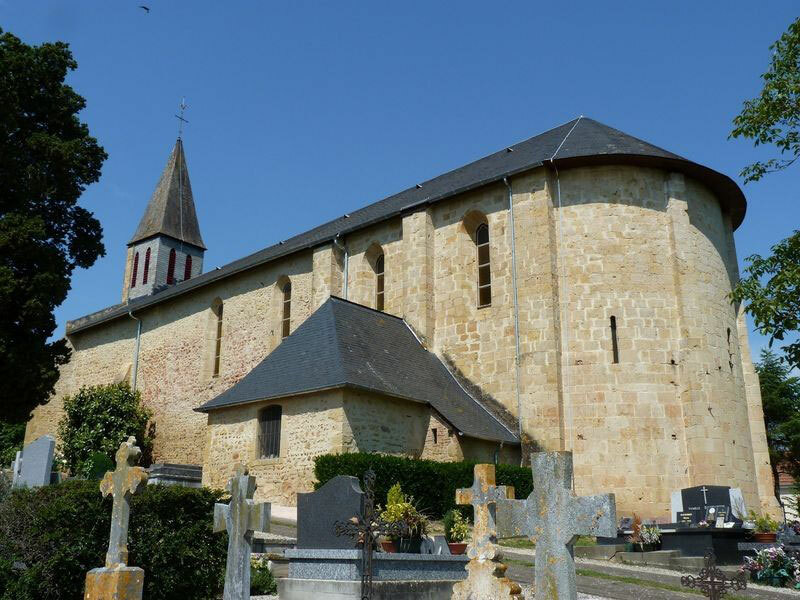 12th c. Romanesque church with 16th c. fortifications and magnificent 17th c. interiors, listed historical monument. Walled-up south portal with a Chi Rho monogram. 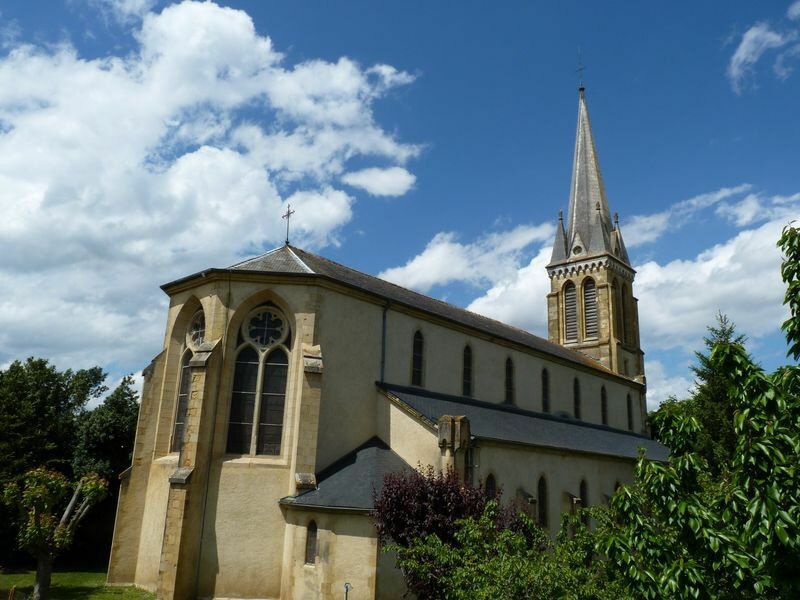 19th c. church, featuring 31 stained glass windows by Bergès (1863). 11th and 12th c. Romanesque church with a highly decorated pillared portal. Listed 12th c. Romanesque church. 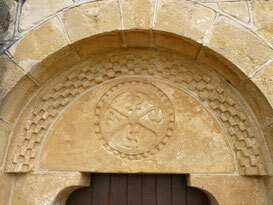 Sculpted Maltese cross, JHS monogram and lovely Romanesque portal. Listed décor inside: altar and altarpiece, sanctuary lamp, wooden nave. Open Tuesdays in Jul. & Aug., 14:30 to 17:00. Medieval sanctuary of the castle, reconstructed in the 16th c. 17th c and 18th c. furniture: tabernacle, statues and altarpiece. 17th c. baptismal font with studded lid and columnar holy water font. A headstone marks the location of the ancient burial chapel of the castle lords. 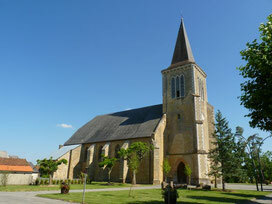 Historical monument. 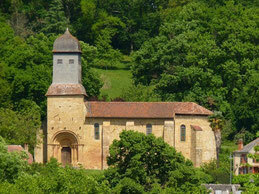 12th c. Romanesque church with a decorated south portal and magnificent views of the surrounding countryside. 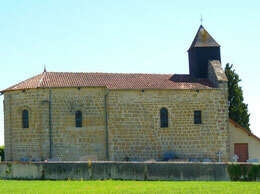 11th c. church with a 12th c. chancel and beautiful narrow stained glass windows. Sarcophagus at entrance to the Nave. Open the Tuesdays: 9 am to 12 am and the Fridays : 12 pm to 4:30 pm. Church built between the 10th and the 18th c. on the site of a former Gallo-Roman villa with exceptional fragments of the 4th and 5th c. mosaics. 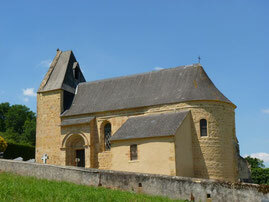 12th c. south chapel with a Romanesque altar. 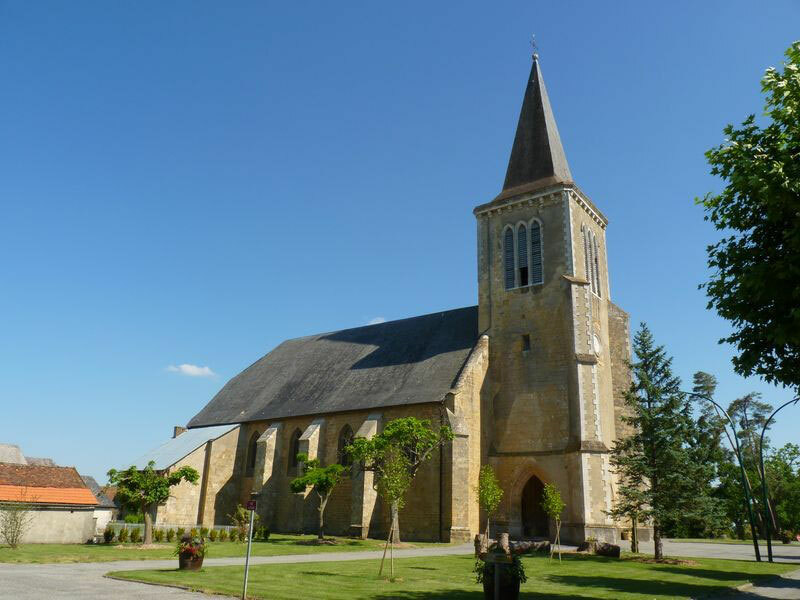 If the church is closed, call +33 (0)6 47 60 33 01. 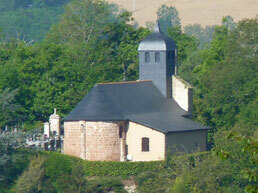 A timeless sanctuary built in the 12th century secluded in a valley, in the proximity of an allegedly miraculous source. 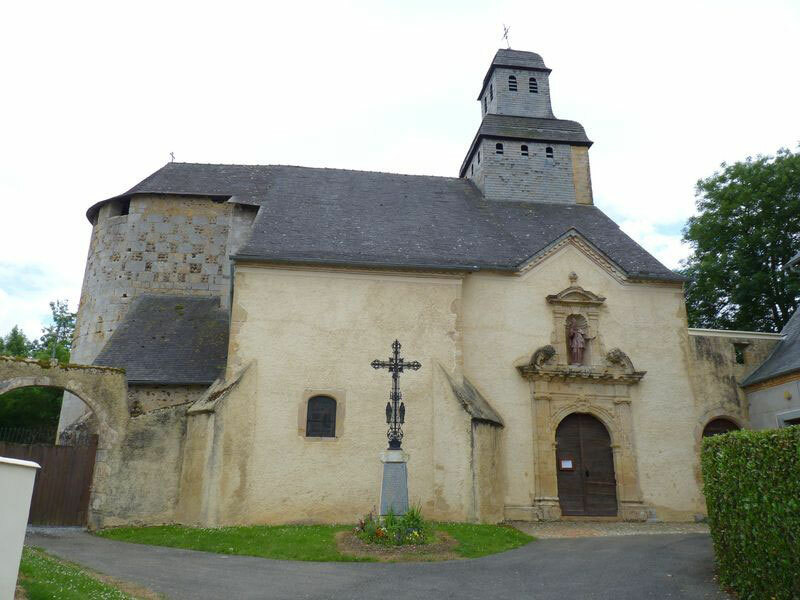 The Romanesque portal has a Chi-Rho monogram and the axial apse window at the front end of the church is crowned by a delicately checkered frieze. 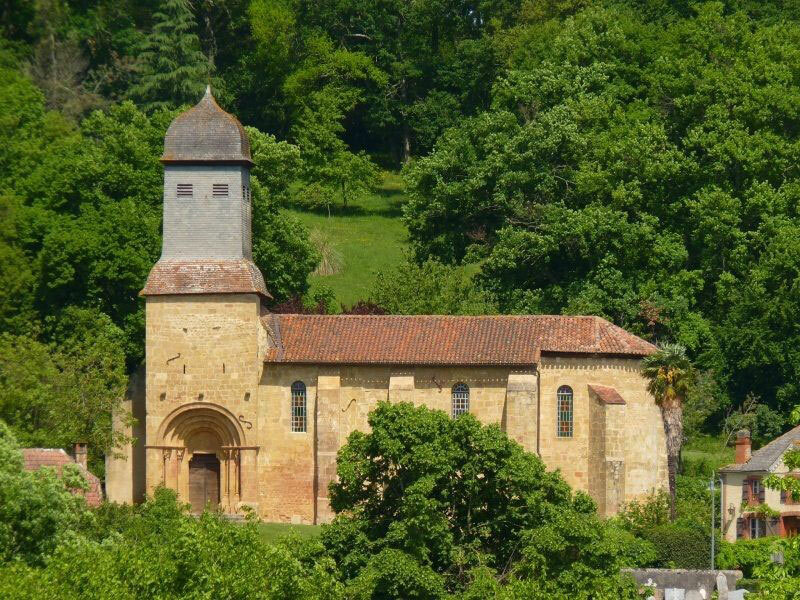 Tucked in the hillside, the church exhibits a well-balanced Romanesque portal with two 12th c. protruding arches decorated by acanthus leaves, rosettes and rinceaux (folial and floral motifs). 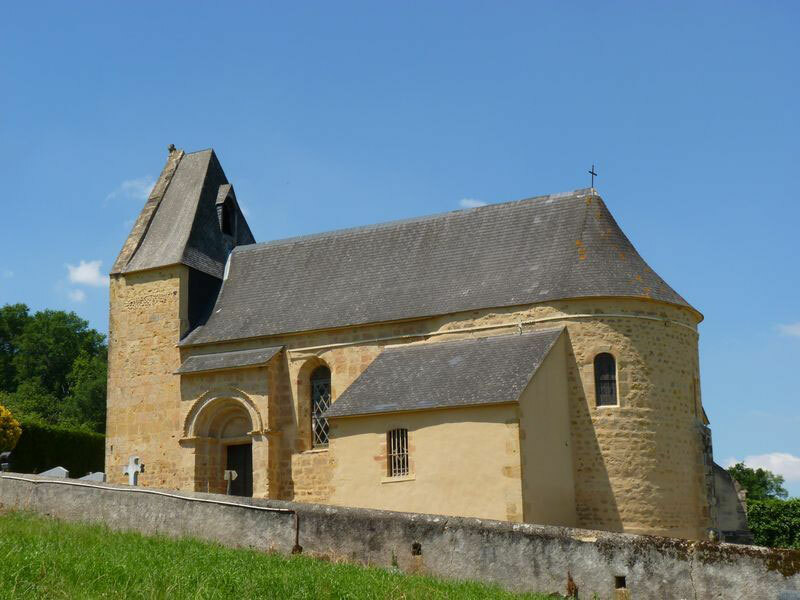 A Chi-Rho monogram is found on the tympanum and a small axial window can be seen in the buttress of the front end (apse) of the church. 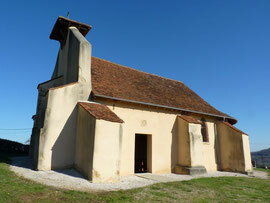 Small charming church in a bucolic setting. The church was built in the 12th c. and has preserved its bell tower wall and semi-circular apse. A Chi-Rho monogram decorates the main portal. The gothic style building, the largest in the Vic Bilh, dates back to the early 16th c. The porch protecting the flamboyant gothic portal is topped by a substantial bell tower. Small sculpted stones are embedded in the North and West outer walls. Thirteen stained glass windows. 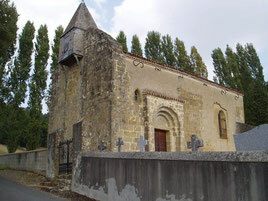 A low narrow doorway in the South wall is believed to have been the entrance for the “cagots” (a shunned minority of the past). 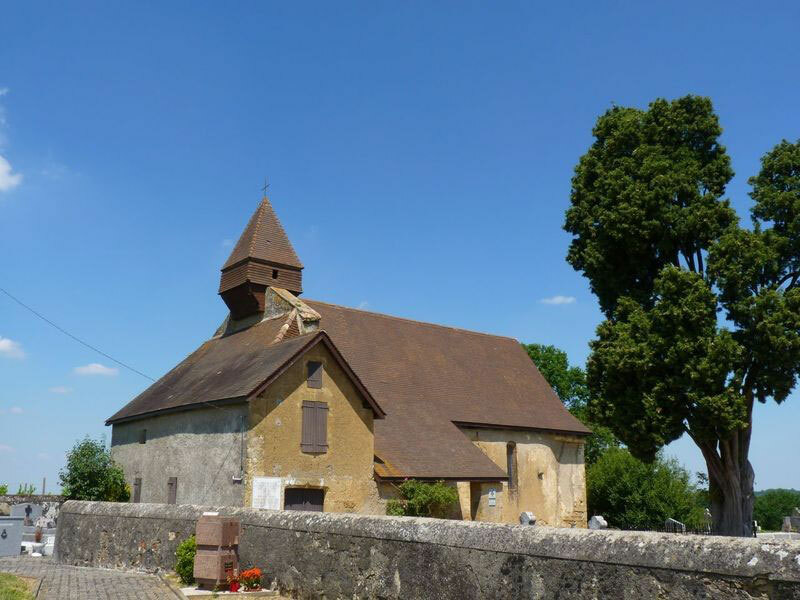 The church of Maspie was built in the second half of the 12th c. Its composite aspect is interesting: the Romanesque apse was raised and reinforced in the 16th c. with a checkered masonry of cobbles and cut stone, topped with crenellations. 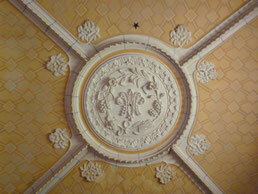 The beautiful baroque portal is dated 1667. 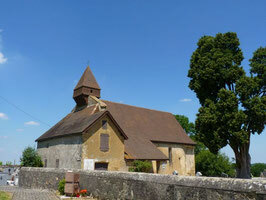 Charming little church built in the 12th c., located in the hamlet. The Romanesque portal is decorated with a Chi-Rho monogram encircled by a beaded rim, and above a four-rowed checkered frieze decorates the tympanum. 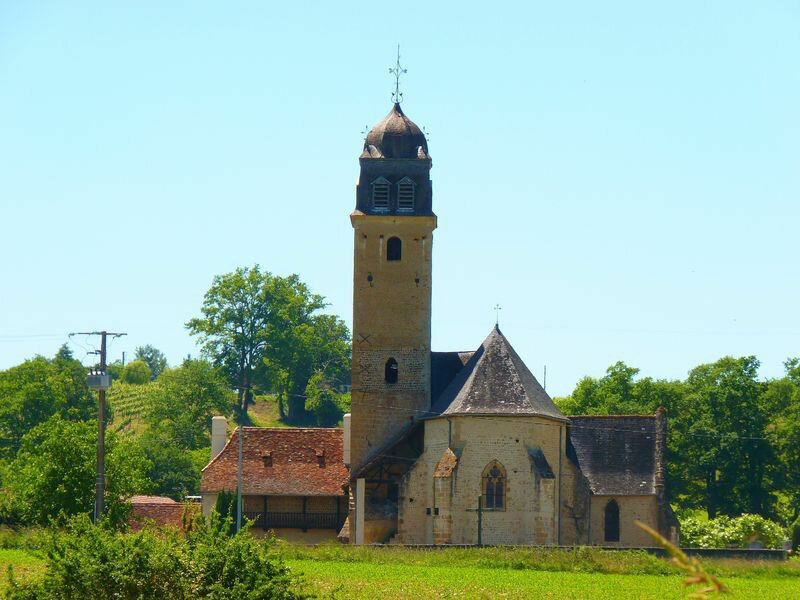 The tabernacle dates from the 17th c.
The church dates from the early 12th c. Stunning Romanesque portal with three tiered projecting arches and an upside down Chi-Rho monogram. The words “Pax, Lux, Lex, Rex” are inscribed on the background of the tympanum. The right-hand capital depicts David and his musicians; the one on the left portrays Abraham sacrificing Isaac. Very interesting Romanesque apse with a protruding decor, checkered frieze, oculi and buttresses.